Consumers have reaped the benefits of the rise of e-commerce by capitalizing on its emphasis on speed, convenience and accessibility of information. Despite that growth, retail and physical store locations remain dominant due to their legacy status and long-term prominence in the economy. However, in regions where retail locations have yet to take hold, the effects and benefits of e-commerce reach a greater magnitude. The accessibility and reach of modern e-commerce systems make these regions accessible to businesses of all sizes, not just the largest players in the market. 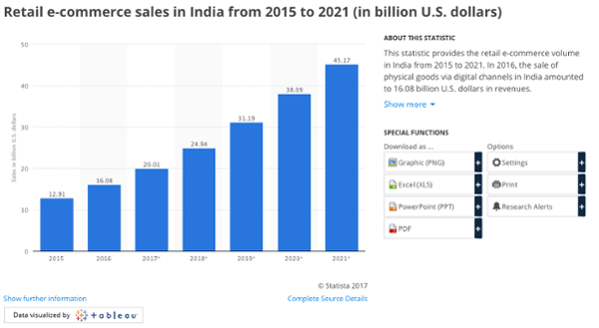 India has become one of the most sought-after markets to capitalize on, with some of the largest international e-commerce businesses competing for market share. As one of the fastest growing e-commerce markets in the world, India has seen an influx of e-commerce activity as Internet access and smartphone ownership grow in recent years. 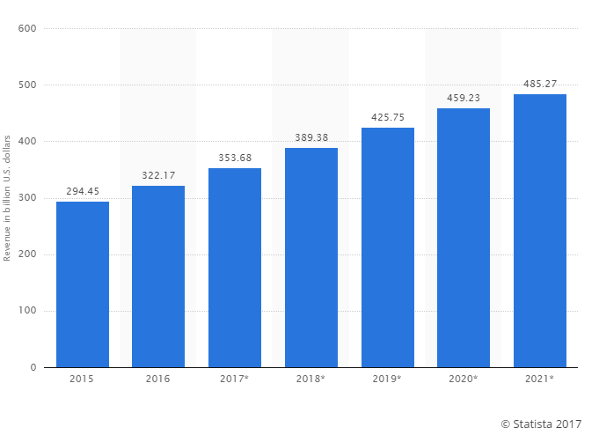 According to Statista, as early as 2015, only 26 percent of the Indian population had access to the Internet; however, that’s 10 times larger than it was nearly a decade ago. That trend is expected to continue, as Forrester predicts India’s compound annual growth rate will be over 30 percent until 2021. E-commerce businesses have also begun to take stake in adjusting the retail experience to integrate online and offline logistics and data along a single chain. Chinese B2B e-commerce business Alibaba, who accounts for a tenth of all Chinese retail sales and 75 percent of online sales, has begun investing in unused retail space in Shanghai and has taken stake in other retail companies to provide big data capabilities to legacy retailers. In many isolated incidences, smaller economies can outgrow larger economies in e-commerce. Chinese cities are categorized into tiers one to four, based on GDP, government structure and population data. E-commerce penetration for Tier 1 and 2 cities amounts to 89 percent as compared to Tier 3 and 4 cities, which is 62 percent. E-commerce businesses have been expanding their logistical and infrastructure capabilities in order to expand to these more rural markets. Dirxion online catalogs give B2B businesses an opportunity to tap into the developing global e-commerce market. Businesses that fail to include and accommodate for an international market essentially choose to leave sales on the table. Dirxion online catalogs can support a variety of languages. For example, Dirxion customer Kennametal has a language toggle feature on their online catalogs to support languages such as French and Japanese. By eliminating shipping and printing costs, Dirxion online catalogs helps businesses to expand their content marketing into new markets previously unreachable, even in international markets. For some retail companies, the rise of the Internet and the prominence of e-commerce has been an insurmountable challenge. Others have made changes to their company’s structure and adjusted resources to react toward the changing retail landscape and accommodate for a more online-orientated consumer base. Michele Buck, president and CEO of The Hershey Company, recently made announcements of the company’s big push into e-commerce and listing online retail as a major focus and an area of growth, as reported by Business Insider. Physical retailers are now pressured to make advancements in e-commerce technology as the online and physical markets have begun to meld together. Amazon, one of the world’s leading e-commerce platforms, has made recent acquisitions and investments into the physical market and in doing so is disrupting the landscape. Competition from Amazon can harm even the biggest and most promising companies and IPOs. Investment in e-commerce, especially among the retail market, has been on the rise. Walmart, the largest retailer in the world, launched their brand new e-commerce branch “Store No 8,” which will work with startups that specialize in robotics, virtual reality, machine learning and artificial intelligence to expand the company’s e-commerce efforts. Investment in offering an omnichannel shopping experience has become an increasingly popular option for businesses of all sizes. 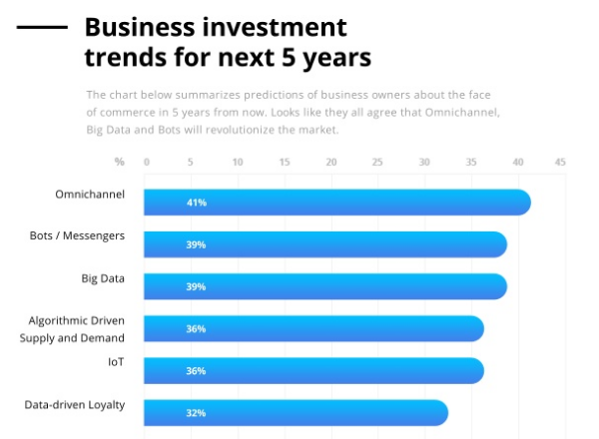 A survey conducted by LinkedIn discovered 41 percent of business owners saw omnichannel will revolutionize the market. While some businesses are of the belief that e-commerce will encompass the entirety of the retail experience,most people prefer in-store shopping in every product category aside from “Books,” “Consumer Electronics” and “Office Supplies.” But that’s not to say that business don’t benefit when e-commerce and the in-person retail experience work in tandem.Consumers have shown an increasing tendency to conduct research online in order to compare prices and products from multiple companies before making a final purchase in-store. Dirxion online catalogs offer businesses the ability to tap into the rising consumer preference for the omnichannel shopping experience and serves as a complementary product to any e-commerce operation. Dirxion online catalogs are versatile and optimized with HTML5 to ensure cross-platform and multi-browser performance standards are met. Customers are armed with a strong tool to allow consumers to do their own research. The search feature directs users to the exact product they’re looking for without having to search through tabs and pages of results. Customers are able to interact with linked images that open to Quick Views or iFrames of the e-commerce site. Customers can then read pictures, look through photos and even add to their cart without having to leave the online catalog. The retail industry in the past two decades has seen a myriad of changes due to the evolving expectations of consumers and the persistent rise of the Internet. Reports and articles across the market have highlighted layoffs, foreclosures and bankruptcies of some of the industry’s biggest players, essentially constructing a narrative where online-exclusive stores will eventually phase out the brick-and-mortar experience. These reports, however, don’t account for the costs associated with e-commerce development and implementation and how stores are finding new ways to create an omnichannel experience for their customers. There’s been no end of stories lately about retail store closures, layoffs and bankruptcies, but the real story isn’t about physical retail dying. It’s about evolution — and that outlook is very positive. E-commerce growth has been somewhat misleading in recent years when analyzed in an isolated scenario. 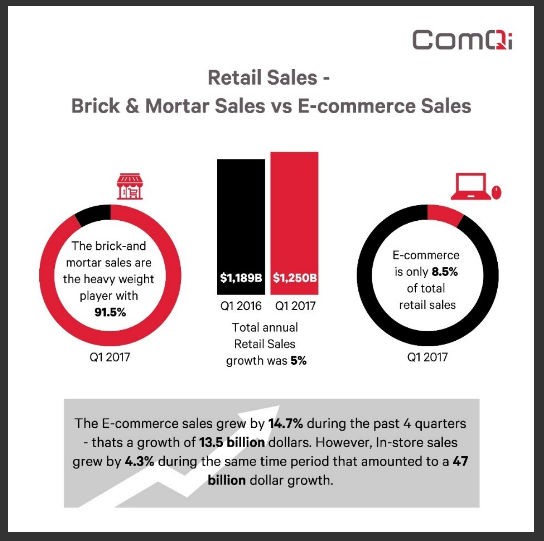 For instance, according to ComQi, e-commerce sales have grown by 14.7 percent in the past four quarters and physical stores have grown by 4.3 percent in the same time period. But when converted to sales, e-commerce brought in $13.5 billion whereas brick and mortar reeled in $47 billion. But that’s not to say that e-commerce hasn’t taken some of the market away from physical stores. From 2009 to 2017, the percentage of total sales accounted for by e-commerce grew from 4 percent to nearly 9 percent. Consumer preferences across generations have continually preferred to make physical purchases. 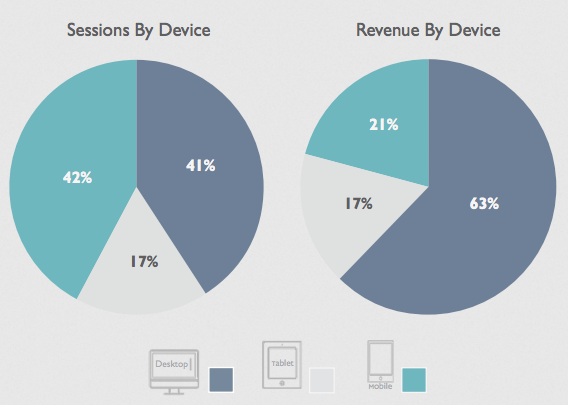 According to BigCommerce,across all generations, an average of 54 percent of all purchases are made in-store. Physical stores have been in an adaption mindset, returning to old concepts and evolving them to work in this new market. Most recently, many large brands such as Patagonia and Athleta found success after bringing back or revamping their print catalogs. However, at the same time, other businesses found print to be too expensive, with high printing and shipping costs as well as the risk of shipping out catalogs with very low returns on their print investment. The market eventually found a comfortable medium in online catalogs, as the demand from consumers for companies to deliver a coherent, on-brand omni-channel shopping experience rose. Dirxion online catalogs have successfully combined the aesthetic and familiar feel of a print catalog with the connectivity and versatility of the e-commerce experience. Dirxion offers custom features such as minimal UI and embedding within an existing domain to create a seamless transition from website to digital publication. And because these online catalogs live within a website URL that is accessible anywhere with an Internet connection, shipping costs are essentially eliminated. Most decisions are a matter of how and when to send an e-mail blast or promote the material on social media sites — an opportunity cost, but not heavy expense. Dirxion customer Ulta Beauty spoke at the annual CRM Conference in Chicago earlier last week,as reported by TotalRetail. Ulta Beauty’s SVP of Marketing Strategy Eric Messerschmidt spoke on the company’s CRM and e-commerce strategies and how they increase customer loyalty. 1. Align on a trusted measurement methodology for your CRM program. Customers respond to transparency. According to the 2016 Label Insight Transparency ROI Study, conducted by Label Insight, 81 percent of surveyed customers would be willing to sample more of a brand’s products if they were comfortable with its level of transparency. 2. Implement a cycle of continuous learning. “If you haven’t failed, you’re not trying hard enough,” said Messerschmidt. Ulta adopted a trial and error mentality when it comes to trying new campaigns. 3. Employ a diverse set of offers and approaches. In partner with its brands, Ulta offers a variety of deals, offers and samplings. Other premium experiences, such as early access for new products, are extended to members of their Ultimate Rewards program. 4. Build and leverage a knowledge base. Ulta is constantly conducting market research and collecting data about their customers. By being in tune with the evolving habits and methods of their customers, Ulta can better market their offers and products. Often times, this is done through target campaigns on target audiences as opposed to a control group. 5. Staff consultative “account managers.” Certain employees are responsible for managing Ulta’s relationships with their brands to get the most out of their partnership. However, special attention is given to brands that “move the needle,” according to Messerschmidt. Partnered with Ulta Beauty, Dirxion has provided Ulta new avenues to connect with their customers with Dirxion’s e-flyers. The e-flyer gives Ulta customers a new way to browse and purchase Ulta’s products in a format that can be sent to their customers at anytime from anywhere. This format also increases the efficiency in which Ulta can interact with and extend new deals to their customers. 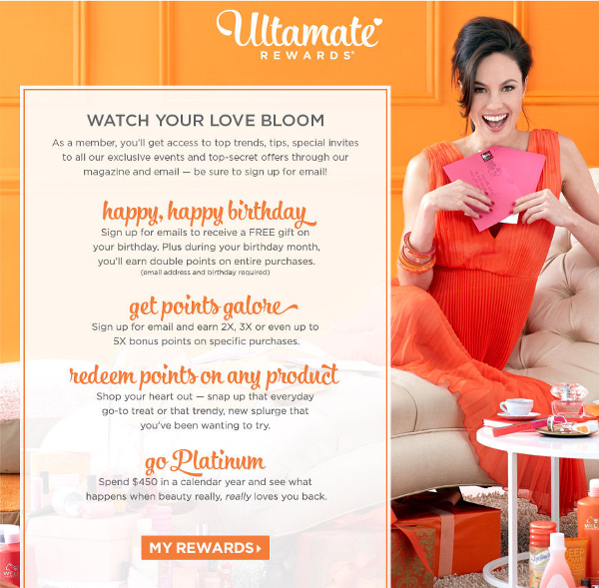 Integrated into their Google Play and Apple iTunes store applications, Ulta’s e-flyers receive a high level of exposure to their mobile customers. In this year’s first quarter, U.S. consumers spent a collective $106 billion and drove e-commerce sales up 14.7 percent from a year ago, according to a recent article published in U.S. News. The article includes the Quarterly Retail E-Commerce Sales report for Q1 2017, as published by the U.S. Department of Commerce. The study includes data from 2007, wherein retail e-commerce sales made up only 3.5 percent of all retail sales, having now increased to 8.5 percent in 2017. Tim Stringfellow, president and chief investment officer of Frost Investment Advisors, is quoted in the U.S. News article: “the big winner (and more indicative of the health and mindset of the consumer) was the online retailing category.” Statista, a statistics and studies gathering website, estimates total retail e-commerce sales will reach roughly $354 billion dollars in the U.S. in 2017. The article suggests consumers are changing the ways in which they spend their money. For many companies, this required a replanning of how much time and money they spend on the physical aspects of their businesses. In April of 2016, Victoria’s Secret announced it would discontinue producing its physical catalog, once used as a means for customers to buy items from the catalog via a phone call. Arnie Preston, the investor relations officer of the parent company L Brands, estimated Victoria’s Secret spent between $125-$150 million annually on the catalog. As both retail and B2B companies cut back on print, Dirxion continues to be called upon to create a strong online catalogs experience. Dirxion’s online catalog services allow retailers to stay alongside consumer’s evolving online habits while delivering a seamless and on-brand shopping experience. This is done by integrating existing programming from e-commerce sites and hosting a catalog on a dedicated URL. This allows the catalog to live within the customer’s website. A good example of this is through Dirxion customer David’s Bridal. 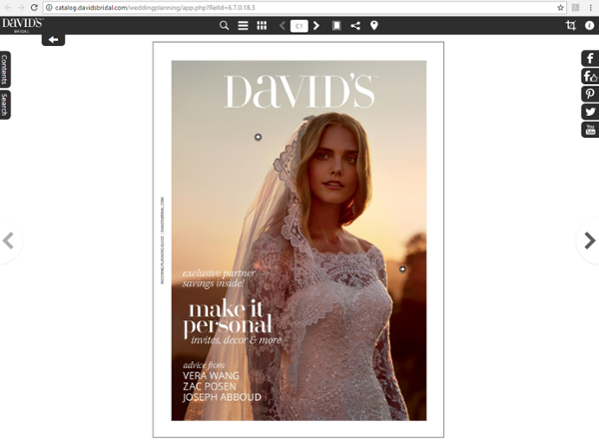 Dirxion integrates programming developed by David’s Bridal’s website. When customers interact with linked products throughout the catalog, an iFrame opens within the catalog that is pointed directly at the URL where a product is hosted. This allows customers to look at available sizes, colors and even add that particular item to their shopping cart, all without breaking the shopping experience. Such practices allow for the publisher’s e-commerce strategies to take hold within the online catalogs, creating a common user experience and easier path to purchase.